The first cast on of 2013 is a cowl. It will be worked without hurry - in between other knitting projects and spinning practices (aha!, that is another post I guess). I'm using lace yarn from Pagewood Farms. One skein of Willow Creek provides for 1,350 yards of yummy superwash merino! A great buy if you need a nice lace yarn and a bump in the Eat.Sleep.Knit yarnathon. My first week at the new position wasn't as bad as I expected. Still, there was a share of stress as I tried to work on my previous assignments while training on my new responsibilities. By last Thursday I thought my brain was about to explode. To my surprise, and that of my co-workers, it didn't. Phew. 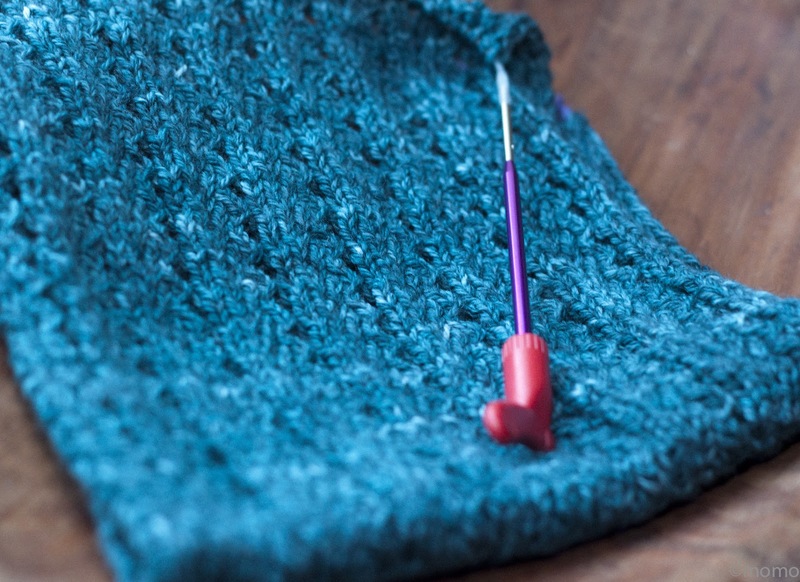 Knitting blogs have provided to be an excellent distraction. This little space also helps me stay out of trouble. I'm trying to post more frequently... when someone has a good idea, I’m game to try it. It's Wednesday and therefore I'm WIPing along with Tamis Amis. I love the colour of your project! Aww; thank you. Go check out Pagewood Farms if you can; you wont regret it. Lovely color! I hope your job will be less stressful. Hooray for surviving your first week in a new role! I hope that things become more manageable and less stressful as you fully adjust. The progress on your cowl looks splendid! That is a lovely cowl! truly. Congrats on the new position! Digging that color too, so nice! 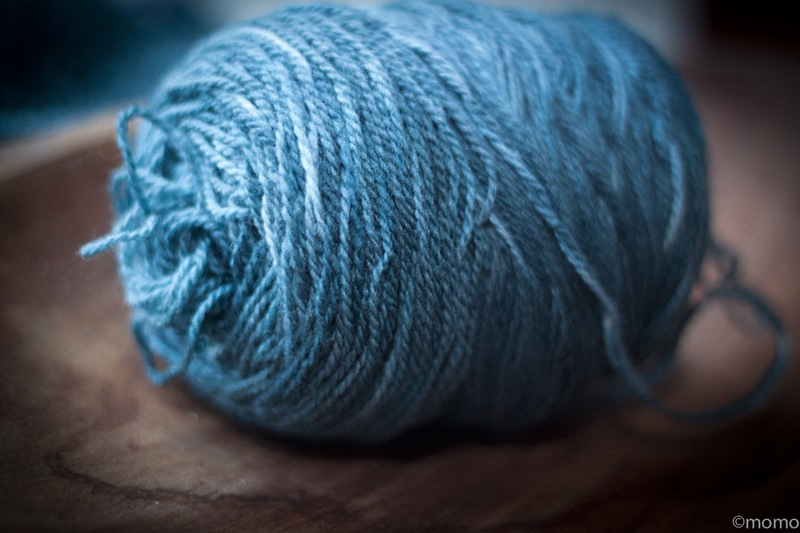 Only you and your beautiful knitting can make me rethink the color blue. Gosh this is lovely!